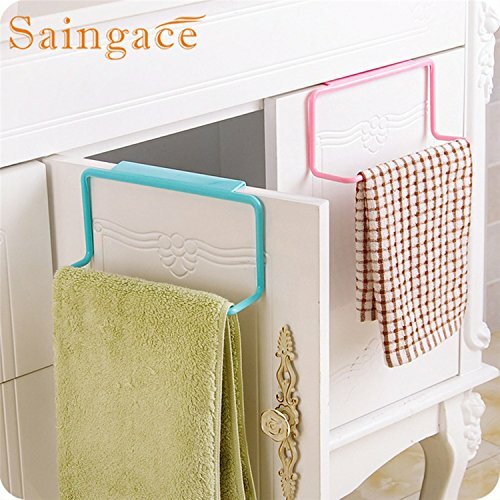 HUNG ANYWHERE: It applies to a lot of places can be hung on the door, cabinet door, drawer door, or outdoor activities like barbecue, creative and practical, saving space, keep the kitchen place clean and tidy. Two hooks for hanging on the door or cabinet, saving space. Can be easily removed when not in use, very convenient. Can hold the towels or cleaning rags.